Calling all young architecture enthusiasts! This Monday in 751 D Park (798 Arts District), as part of the upcoming Beijing Design Week, there will be a bilingual architecture and city planning workshop catered especially for children between the ages of 7-12. Inspired by Archikidz! from the Netherlands, Kidscity will be providing youngsters with the opportunity to get familiar with the design process, and how to go from the “idea” stage into actually building it with their peers. It will be a fun, hands-on day, with visiting architects and volunteers that will be helping along the way to make your child’s architectural fantasies come alive. The day will finally culminate in a big, messy, and colorful group model of Beijing built from scratch. This will go on to be exhibited in 798 during this year’s Beijing Design Week. For sign up and more info on Kidscity scan the QR code above, or add the event organizer on WeChat (seba1988). 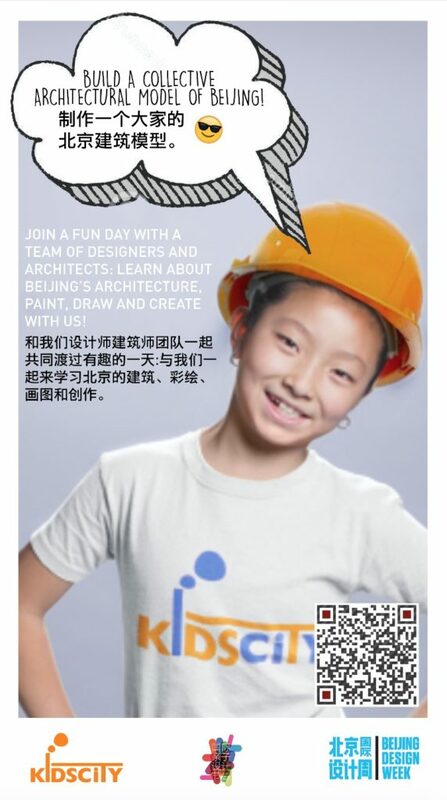 The event price is RMB 350 and includes a complimentary snack, a construction helmet, and KidsCity t-shirt.